AirAsia boss Tony Fernandes lashed at the Malaysian Aviation Commission orMavcom for the cancellation of multiple flights to Borneo on the eve of the 14th Malaysian General Elections (GE14). As a result of the bashing from Fernandes, Mavcom issued a statement that it will investigate his claims. Later on, Mavcom said the agency did not issue such an order and that it will take Fernandes to task over the issue. Mavcom has lodged a police report against Fernandes over the matter. But Fernandes lashed back at the agency, saying the company has evidence that an officer from the Mavcom had ordered him to cancel the flights. “We will divulge the evidence and facts to the appropriate authorities at the right time,” it said in a statement yesterday. The flights – free of charge – were to ferry Malaysian voters to Sabah and Sarawak to vote in the GE14. Following this spat, it appears that low-cost airline boss, bashed by netizens for his perceived support for the fallen Barisan Nasional (BN) before the elections, is not giving up. Right after Mavcom denied that it forced AirAsia to cancel flights to Borneo on the eve of the General Elections, Fernandes said the agency is irrelevant. The transport ministry is more than capable of helping the local airline industry grow, without the need for Mavcom, said AirAsia Group chief executive officer. Expressing his disappointment with the commission, Fernandes said Mavcom should remain independent and treat all industry players fairly. “I’ve always wanted (for the industry) to be treated fairly. It’s not about (being) good to AirAsia and bad to Malaysia Airlines Bhd (MAB), or good to MAB and not to AirAsia. Do what is good for Malaysians. “We (at AirAsia) wanted Mavcom because we thought it would be great for the industry, and for them to be independent and look at the industry fairly. 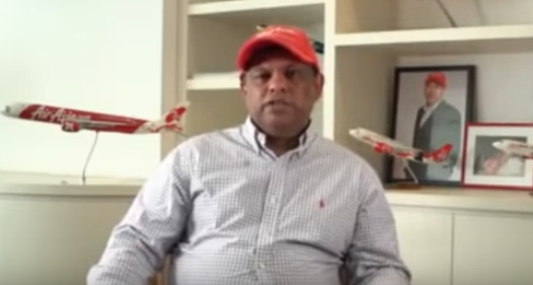 Mavcom on Tuesday (May 15) refuted claims made by AirAsia chief Tony Fernandes, who had said that the aviation regulator had told him to cancel all 120 additional flights to help voters return home for Malaysia’s recent election. Fernandes had said he has evidence of that an officer from Mavcom told him to cancel the flights. The AirAsia boss was bashed by netizens for his pro-BN stance on the eve of the elections. Since then he has apologised for asking people to support the BN and ex-Premier Najib Razak. He said he was pressured into saving his company from attacks from the BN leadership.